Book Review: Retro | What Would The Founders Think? Great fun! This story revolves around 2 murders and takes the reader back in time 50 years, to when racial tensions were high, and the fight game wasn't as sophisticated as it was later to become. A black fighter is murdered, and nearly 50 years later his illegitimate son is killed with the same gun. The descriptions of the times are vivid and interesting. This is another quick read that fans of the Amos Walker series of novels will probably like. I know I enjoy the dry wit and thoughtful commentary in these novels. 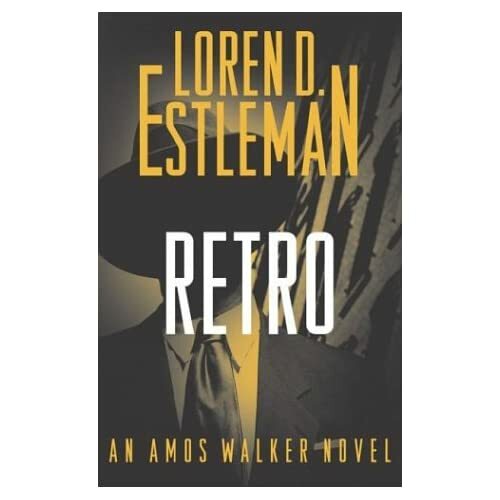 Retro is probably the 4th or 5th of these books by Loren Estleman that I have read. Like the others fearing private eye Amos Walker, this one takes place in Detroit, and the reader gains insight into the surrounds and atmosphere of these environs. This story revolves around 2 murders and takes the reader back in time 50 years, to when racial tensions were high, and the fight game wasn’t as sophisticated as it was later to become. A black fighter is murdered, and nearly 50 years later his illegitimate son is killed with the same gun. The descriptions of the times are vivid and interesting.